If you mention the German Drum and Bass movement there is no other choice then talking about Kabuki. Already in his youth he get involved into music while learning the guitar and graduating in classic music. 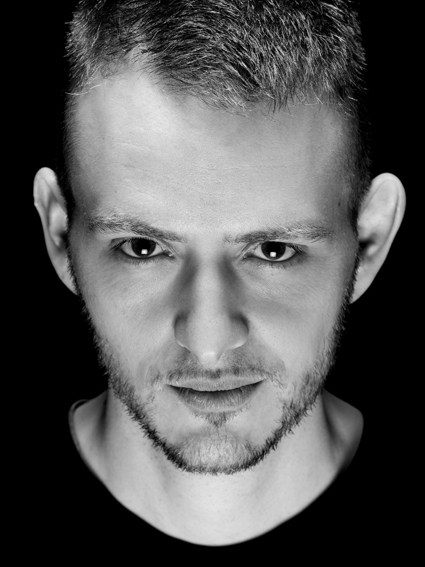 After getting infected with electronic music he named himself Kabuki and startet to produce peerless Drum and Bass nuggets. 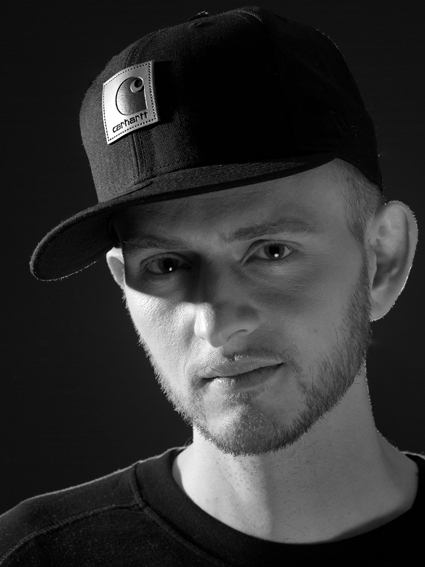 Furthermore he formed with his mate Mainframe the projects Makai and Megashira – two early cornerstones of the German Drum and bass movement. Beside this the Hessian also launched his own label Precision Breakbeat Research in order to built up the scene more massivly. Already in 2000 Kabuki celebrated his first international release on the famous 4hero label Reinforced Records. And another four years later his first longplayer see the light of day on Combination Records. On top of everything Kabuki was also involved in the fraternization of Drum and Bass and HipHop with the project MK2. 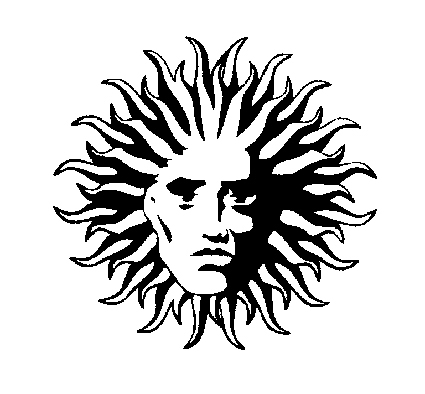 Now the charming man from Frankfurt releases his second longplayer Warrior Soul on the legendary UK based imprint V Recordings. In view of the occasion we asked him to produce an exclusive V Recordings Carhartt Radio show. To back his personal Breakbeat journey that he mixed and dubbed together with his sweet MC Jenna G we talked to Kabuki about his passions, his hometown, and his unstoppable love affair with Drum and Bass. Kabuki: My first instrument was the guitar, and I remember clearly how excited I got when I realised I was able to create my own music. The process of creation was always more important to me than performing, which is why I eventually gave up playing the instrument and focussed on working in the studio instead. Kabuki: I would say that the most important music for me has been Jazz in its many forms. At the American Institute of Music in Vienna I discovered Modal Jazz by composers like Herbie Hancock or Chick Corea and this influence can still be heard in my music to this day. Also, Reggae and Hip Hop always fascinated me. The sheer physicality of the bass in these styles of music was something that also attracted me to Drum and Bass. What was your age when you produced your first track? Kabuki: My first official release was a remix of a track by Kosma, a producer from Berlin that would eventually found the group Jazzanova. This was in 1996 on the label Infracom from my hometown Frankfurt. What does a Drum and Bass track need to be perfect? Kabuki: A Drum and Bass tune should have something that you can’t find in any other style of music. I don’t see much point in writing tracks that sound like House tunes at 174 BPM, or Reggae tunes at 174 BPM. There’s a certain vibration that can only be included in Drum and Bass tunes, and I’ve always been in pursuit of this vibration. You recently released a new Album on V Recordings – how honored you feel to release on a label with such a history and reputation? Kabuki: When I saw the finished product for my first single on V it really felt like the circle was complete. I have a very vivid memory of buying my first release on V, which I picked up in a German record shop in 1994. A lot of tracks that had a big influence on me were released on V, and I hope I’m able to contribute a little bit to that heritage. How long did you work on the album and how did people like Jeru The Damaja the collaborations come off? 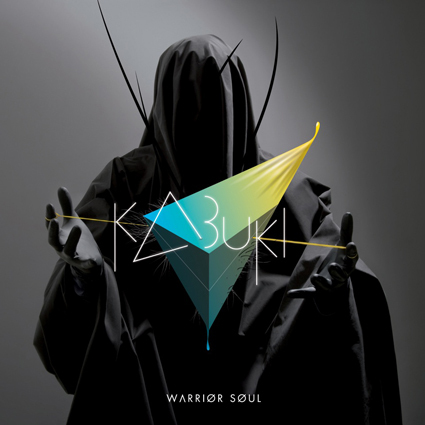 Kabuki: From the first idea to the final product it took me almost six years to complete Warrior Soul. I’m a firm believer in giving things the time they require, and the album wouldn’t have come out the same way if I would have rushed it. The collaborations all happened because I was in the right place at the right time. It was not about paying somebody and getting a bunch of tracks in return, but rather about being on the same frequency with another artist and then seeing where the moment takes you. You are connected to the Drum and Bass movement almost since day zero – how do you see the Drum and Bass scene today? How did the sound change in our opinion? What is new and fresh? Kabuki: I’ve spent the better part of the last 15 years involved with Drum and Bass in one way or the other. In these years a lot of changes happened, some for the better and some for the worse. I’m going to turn 40 in the not too far future, so I feel I earned the right to say that I preferred how some things were in the past. For example, I’m still playing vinyl when I DJ because to me it has a sensual aspect that just can’t be replaced by anything else. I played for a couple of years using a digital vinyl system, but eventually realised that something important was missing for me. The argument that it’s more convenient to carry a bunch of cables and a laptop isn’t valid for me; music has always been something that I did out of passion and not out of convenience. There are a lot of good producers around at the moment, and the general quality level of Drum and Bass has never been higher. Just check guys like Need for Mirrors, Random Movement and Spectrasoul. This is soul music for the 22nd century! How did you selected the tracks for your Carhartt Radio show? Kabuki: I spent a couple of days in front of my record shelf and just listened to all records from my V/Liquid V collection. I re-discovered so much good music that hasn’t been heard in a while, so I decided to go across the board and mix the old with the new. Maintain, the track that opens the mix is almost 15 years old, but it still sounds like a broadcast from the future. How did your style change within the last decades and why? Kabuki: When I was younger I was very much addicted to the intensity that the harder side of Drum and Bass had to offer. At this time the objective was plain and simple to hit as hard as I could. The more I matured, the more I got interested in creating more subtle emotions. When I now listen to tracks from my youth I wonder how I was able to keep this insane energy level. There are young producers right now trying to achieve exactly the same result with different tools, so I guess it’s a rite of passage that everybody has to go through. I realised however that after I made that transition, I was not able to go back again. What been your greatest hit so far? Kabuki: The track that most people associate me with is Beneath the Mask by Makai. This was one of the first continental European Drum and Bass tracks that got played by all the big UK dogs long before the internet era. Nowadays there’s so much good music coming from all four corners of the globe, and it’s great that there are no more separations between the UK scene and the worldwide Drum and Bass community. When I came through there used to be a clear separation. What do you aim at with the music you release? Kabuki: The amazing thing about music is that it’s an universal language you can use to communicate with people from all walks of life. If my music resonates with somebody out there then I’m a happy man – it’s all I hope to achieve. What are you doing beside you live as a producer and dj? Kabuki: I am very much enjoying a weekend at home these days, and it’s a nice change to spend my free time in the nature after all those years on the road. Also, I got a regular job which gives me enough stability to turn down any kind of offer which doesn’t match my principles. Kabuki: I think I would like to do something I’ve never done before, like working as a carpenter. I could also imagine to travel and spend the year in a foreign country. As Guilty Simpson said: He who’s seen more has more. Kabuki: Well, I lose it every now and then like everybody else. I trip, I fall, and after spending some time on my nose I eventually get back up again and keep moving. What are your current Top 10? Kabuki: My special record is Return of the Crooklyn Dodgers from the Clockers soundtrack. This is a magical piece of music, and the stars must have aligned when Premier, Chubb Rock, OC and Jeru met in the studio to record it. Kabuki: Frankfurt is a great place to live, as it’s a very international city. There are a couple of special spots that I like to visit whenever I have a chance. I’m practising Aikido at a Dojo in Frankfurt’s Bornheim district, and there’s a great coffee shop close by that I like to get a cafe after training. It’s called Coo Coo, and they roast their own beans there even though there’s just enough space to fit a a handful of chairs. My favorite is the straight black coffee with Cardamon. If you’re in town give it a shot!